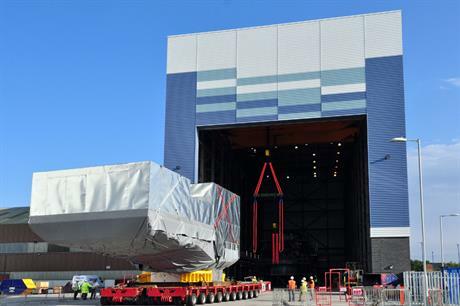 UK: The nacelle and drivetrain of Samsung's prototype 7MW offshore turbine has been delivered to the National Renewable Energy Centre's (Narec) new test facilities in Blyth in the UK. The mega-sized technology, which will be among the most powerful turbines in the world, is intended for use in the UK's round-three offshore wind zones. The testing will simulate some of the harshest climatic conditions including wind gusts of up to 67 metres per second to ensure any performance issues can be identified and rectified before the technology is deployed offshore. Narec chief executive Andrew Mill said: "It is fantastic to see the delivery of Samsung's nacelle as it brings us closer to seeing the next-generation technology becoming a reality. "It also sends out a strong signal to the rest of the world that the UK is leading the way in implementing a more efficient route to market, a critical factor in the future success of the offshore wind industry." The facility opened earlier this summer and Samsung will be the first manufacturer to use the 15MW-rated turbine nacelle test centre, which has been designed to support the industry's drive to make offshore wind power generation more competitive through scaling up the technology and reducing the costs associated with at-sea failures.